Doing your bit for the planet doesn't mean you need to go primitive in your design aesthetics. Bangalore's home to a bunch of cool home decor brands that create sustainable, upcycled, and eco-friendly home decor options. From terrariums to key chain holders made from concrete and nifty clay products, keep this list of eco-friendly home decor brands in Bangalore handy whenever you are thinking of revamping your space. One of our favourite green decor stores in Bangalore, Unearth specialises in home decor pieces that feature terrariums and other plant life, so pick up handmade terracotta jars and pots that can brighten up your workspace or your kitchen or even your bathroom. It's almost got an IKEA-like aesthetic to it. The brand, in its effort to promote conservation efforts actively, only use upcycled and recycled materials for their products. You can pick up colourful lampshades made from TetraPaks, trays, paper straws, and key holders made from branches. Basically, if you are going for a very rustic theme to your space, you will find plenty to choose and pick. The brand crafts decor pieces such as clocks, pen stands, stationery stands, bows, and trays of various shapes all made with concrete. Very minimal in design, it's perfect you can instantly get that hipster vibe to your basic walls and corners. One of the brands we recommend if you are trying to switch to a plastic-free life, they have some really cool offerings in the form of water coolers, tableware, and refrigerators all made from clay. Along with earthy colours, you can also pick up options with some lovely hand-painted designs. We have various brands and stores in Bangalore that sells panters, but Zilpkala gets the top picking for the cutesy and whimsical planters. Think cute piggie pots to tiny flowers or honey bees that you can hang from the top. The planters come with plants too — from lucky bamboo to money plants. 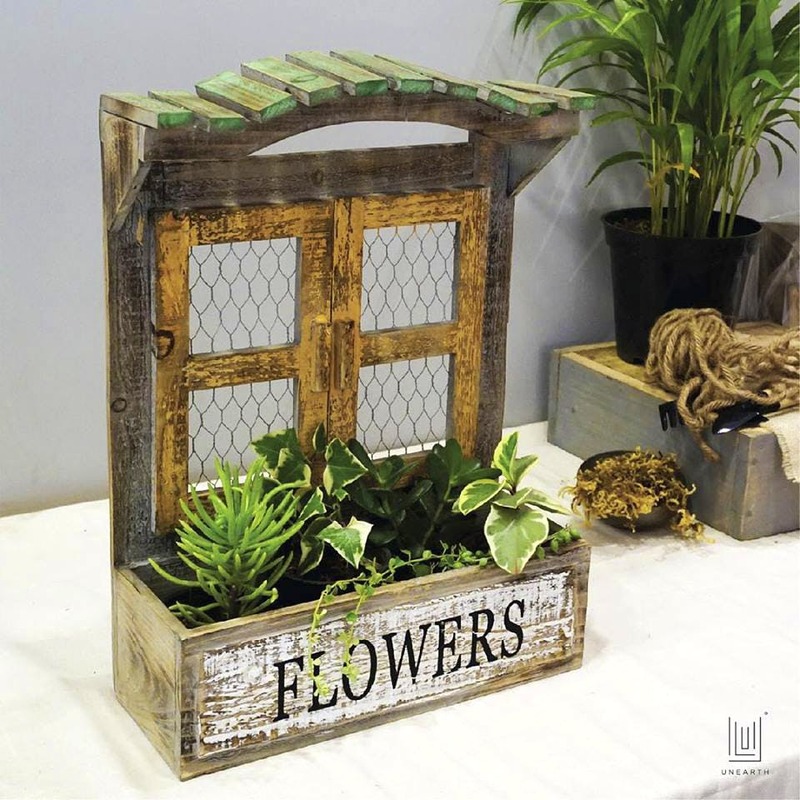 The Koramangala decor store specialises in succulent, living flowers, and pretty planters. The succulents are what we love the most with some of them that look like mini bonsai trees, bouquets of roses, cluster cactus, and wavy ones that look like shark fins. The best part is, you can add green to your space and not have to worry about maintenance as these are quite easy to take care of. Part of our list on sustainable brands in Bangalore, Vrtta Fullcircle does durable and tasteful home decor such as hanging shelves, trays, tabletops and coasters made from reclaimed wood and TetraPak sheets and boards. Since the boxes used are in various colours, they make for a quirky addition to your decor setting.